The one that shoots a particular spot or destination. This is the same theory you need to apply to your bowling. In fact in the context of cricket it is defined as the ball generally which moves very quick in air, also drifts in air from left to right and pitches in fuller length (0 to 2 yards) and makes the batsman surprised. In simple words as a bowler you are trying to bowl a fast, quick drifting delivery in fuller length, in fact you are shooting your ball to particular spot or destination (fuller length) with fast and furious. This whole drama generally resembles same as fast reverse in swinging yorker. The quick ball through air in fuller length makes the batsman surprising and the fast drifting ball in air from left to right in fuller length makes the batsman more surprising and mostly unplayable . 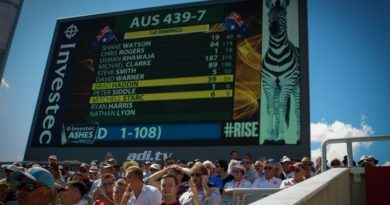 Thats why the word ‘Drift’ is important in spin bowling and more important in shooters. We can say that the word ‘drift’ adds masala and flavour to spin bowling and shooters. It gives you more real meaning to these leg spin weapons. Since we are trying to bowl a fast, quick drifting delivery in fuller length and in fact we are shooting a fast, quick drifting ball in a particular spot or destination (fuller length)(0-2 yards) thats why it is called as Shooter. As it is a quick delivery in spin bowling with slightly different from Flipper, it has same speed as Flipper. The speed of the Shooter ranges from 95 to 110 kmph. Mind you speed of the ball always resembles the speed at the time of releasing point. At the end of the day, the speed of the Shooter changes slightly after hitting the pitch and before hitting the bat when compared to other quick deliveries like Flipper. As it is bowled in fuller length, therefore it maintains its nearly releasing speed until it reaches the bat, where as the Flipper which is bowled little bit shorter in length looses its speed until it reaches the bat when compared to Shooter. Since it is bowled little bit shorter in length, the time difference increases between after hitting the pitch and before hitting the bat, therefore because of the length difference it looses its releasing speed slightly more compared to “Shooter”. Therefore Shooter has less speed difference between releasing speed and before hitting the bat because it is bowled in fuller length (In fuller length the releasing speed of the ball changes slightly before hitting the bat). And the other quick deliveries like Flipper has more speed difference between releasing speed and before hitting the bat compared to the Shooters because it is bowled little bit shorter in length. (In shorter length the releasing speed of the ball changes more before hitting the bat compared to fuller length delivery) (more time difference). For example let us say the releasing speed of the Shooter say 105 kmph and the speed of the Shooter before hitting the bat say would be 95 kmph (General figures). Now under the same conditions the releasing speed of the ball in other quick deliveries like Flipper say 105 kmph and the speed of the Flipper before hitting the bat say would be 85 kmph (General figures). This variation is simply due to the length difference which results in more speed difference, more time difference. (These are not exact figures think it as general figures). Don’t forget both the Flipper and Shooters are fast and furious but different formats and different lengths makes them different sophisticated weapons of Leg Spin Bowling. It is a fast quick drifting delivery which is bowled in fuller or yorker length (0 to 2 yards). Its speed generally ranges from 95 to 110 kmph. The word “Drift” (resembles swing in a air) adds a real meaning to this Shooter and makes it as a wicket taking delivery. Its just like shooting a fast bullet from a Gun to a particular destination in fact you are shooting a fast drifting delivery from your hand in yorker or fuller length. Thats why it is called as Shooter. It has to be bowled in Fuller length. It shouldn’t be bowled continuously ie a Normal Leg Break has to be bowled 2 or 3 in a row and then suddenly shift on to Shooter which would surprise and demolish the batsman. It has to be bowled straightly targeting outside the off stump but should drift into the batsman. The speed of the arm will be faster compared to speed of the arm in Normal Leg Break Bowling. HOW DO YOU BOWL A SHOOTER ? Generally a Shooter is bowled same as a Normal Quick deliveries like Flipper and other etc. But it is bowled in Fuller length. It can be bowled in many ways as long as it moves with fast, quick drifting in air in fuller or yorker length. In general we have one common and conventional way to bowl a shooter. That is grip the ball same as the Flipper but with little bit differently and bowl it with fast, Quick and drifting in air in yorker or fuller length. That becomes the Shooter. Of course depending upon you, you can grip the ball in many ways. That is in which way you feel comfortable in gripping the ball. But you have to ensure yourself so that you bowl a fast quick drifting delivery in Fuller or Yorker length. At the end of the day it has to be a Shooter. Lets discuss the Normal and conventional way of bowling Shooter. Hold the ball across the seam such that the fingers fore (1st joint) and middle (1st joint) are on top of the seam (across), the thumb (1st joint) and ring fingers (1st joint) are with the seam nicely, firmly gripping the ball. 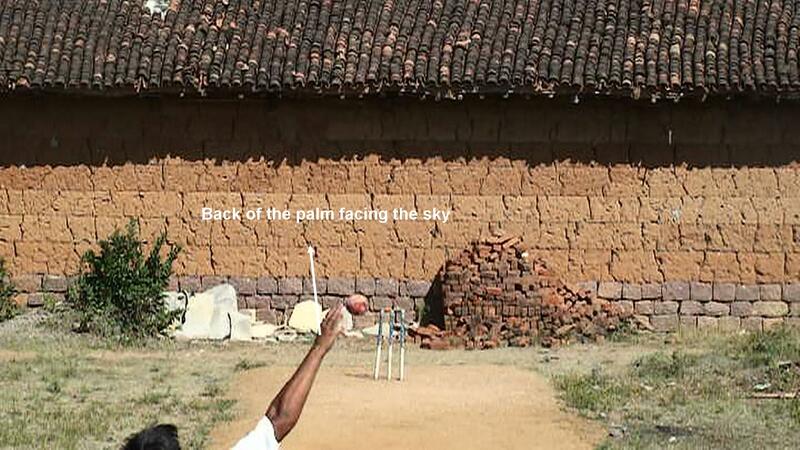 This action looks like same as a Leg Break , Now bowl it in unorthodox style ie by reversing your arm and wrist, the back side of the palm faces little bit in west direction, the arm and wrist being on left side of the ball, the fingers fore and middle on top of the seam (across) (seam facing in 1st slip or straight direction), the thumb facing in 1st slip or straight direction with the seam, the ring finger facing opposite to thumb position with the seam at the time of releasing point. You have to bowl it in such a way that the arm has to be reversely at an angle of 120 deg (In general) with the body, the wrist has to be reversely at an angle of 45 or 135 deg (In general) with the arm, in fact the position of the wrist has to be rotated from basic 0 deg to 15 or 30 deg position (Generally), the fingers fore, middle, thumb and ring are adjusted in such a way that the seam faces in 1st slip or straight direction at the time of releasing point. That means the thumb faces towards 1st slip or straight direction with the seam, the ring finger with the seam facing opp to thumb position at the time of releasing point. 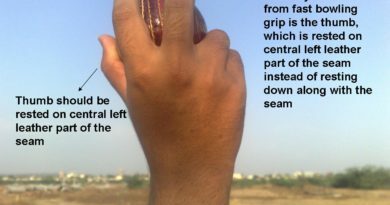 unlike in other deliveries, here the thumb and ring fingers play a major role rather than fore and middle fingers in projecting the ball with fast and drift in Fuller or Yorker length. So when you observe very carefully after the ball has been released, it looks like a flighted delivery bowled in Fuller length, but it moves with a disaster speed of ranging from 95 to 110 kmph and with drifting in air, comes into the batsman in yorker or fuller length. These things can be observed very easily in slow motion replays in Test matches. This is the drifting delivery concept which we use in ” LEG SPIN BOWLING ” in different format , so it is called as ” GREAT SHOOTER”. Drift is the word generally used mostly in spin bowling. It generally resembles same as fast reverse in swinging yorker. If we speak in the context of cricket it is the force or current by air that moves the ball from its regular point (left to right or right to left). In simple way it is the movement of ball due to some wind or air currents. The word ” DRIFT ” is very important in spin bowling, it adds extra flavor to your bowling. 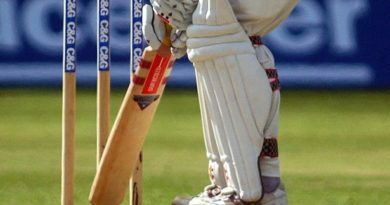 If a ball drifts from left to right or right to left before hitting the pitch the batsman gets deceived in reading the ball ” where actually it hits the pitch”. The ball has to be old. The speed of wind is very important . There should be enough speed in wind and also you need to check the direction of wind also. There has to be good rotation of a ball with nice and good respective seam position after the ball has been released. More rotation with good seam position gives you more drift in air. And also hold the ball across the seam in such a way that rough side of the ball comes inside the palm and shiny side of the ball on left side. Now when you release a ball the rough side will be on left side and shiny side will be on right side. On this scenario the air generally moves faster on lighter part of the ball, in fact moves faster on rough side of the ball so that it pushes the ball towards shiny side of the ball which is heavier and denser part. From bowling position Now it implies it moves or drifts from left to right into the batsman. Therefore how you hold the ball is also very important. Unlike in other deliveries it is not bowled in good length. By default and naturally you have to bowl it in Fuller Length. It has to be bowled and always has to be bowled in Fuller Length. Basically it is a Fuller Length Delivery. Since it is a fast, quick drifting delivery it has to be bowled in Fuller Length, then only it gets real meaning. Fuller Length mean ———>>>>>> over pitch, yorker length, half volley (0 to 2 yards).